The Singapore Tourism Board (STB) has selected three out of the 44 applications submitted by businesses across a wide range of industries to be supported under the first edition of its Marketing Innovation Programme (MIP). 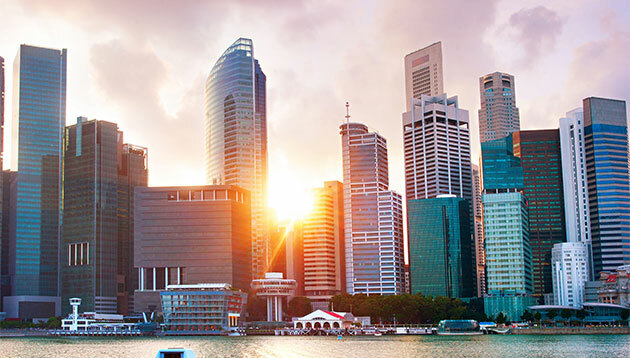 The three campaigns from AccorHotels, Millennium Hotels and Resorts and Wildlife Reserves Singapore were chosen as they showed the strongest potential to boost Singapore’s destination appeal and were best able to tell a “great Singapore story”. The campaigns were selected by a panel comprising STB and industry experts, based on criteria such as innovativeness, potential to drive tourism outcomes and feasibility. Each marketing campaign will receive a dollar-for-dollar matching award of up to SG$300,000 to amplify its distribution. Details of the second edition of MIP will be shared during its launch in April this year. In 2016, MIP’s launched followed STB’s unveiling of its new marketing strategy, which aims to support and amplify innovative marketing campaigns that experiment with new ideas, as well as push the boundaries of traditional marketing methods. According to Jacqueline Ng, director, marketing partnerships and planning, storytelling is central to STB’s marketing strategy, as is its ability to constantly reimagine, disrupt and establish new standards that will make STB stand out from its competition. “We are encouraged by the strong interest we’ve seen in the first edition of the MIP and hope that more businesses, including those not in the tourism sector, will be inspired to join us in a continuous journey to raise the benchmark for innovative marketing in the coming years,” Ng added. AccorHotels’ “48 Hours Start Over” social campaign reintroduces visitors to the Singapore experience in unexpected ways. It tells the story of a traveller who returns to Singapore for the best guest experience reimagined by AccorHotels. The main idea behind “48 Hours Start Over” is that the people you meet on your travels and the memories you bring home influence your entire travel experience. Titled “M Social Communities”, Millennium Hotels and Resorts’ campaign aims to incorporate Singapore’s local arts scene into the M Social experience, allowing guests to interact with local creatives. Travellers and members of the public can interact with the work of Singapore’s artists and artisans, as well as meet them through a variety of exhibitions, workshops and events. The campaign aims to enrich travellers’ stay with learnings, stories and ideas. Meanwhile, Wildlife Reserves Singapore’s campaign “Land of Giants” seeks to tell stories about Singapore’s biodiversity through 130 super-sized animatronic and static invertebrate installations. The seasonal outdoor exhibit, coupled with real life encounters of the pint-sized creatures, aims to bring across the essential roles that invertebrates play in the ecosystem. In an aggressive hiring spree aimed at beefing up its content offerings, LeEco is looking for a new chief content officer and chie..